Oooooh lovin’ the Old Olive – very very classy! 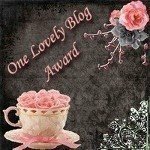 Your blog looks fantastic!! Great job with it all! !